Enjoy the comforts of home and freedom of residential living, when you rent this immaculate Disney Area Vacation Home. Conveniently located in the warm and friendly residential community of Coralwood, you’re just 25 minutes from the Walt Disney World & less than half-an-hour from all of Central Florida's most popular attractions, including Universal Orlando® and SeaWorld® Orlando. Florida’s Famous Beaches are just a quick 45 minutes away. 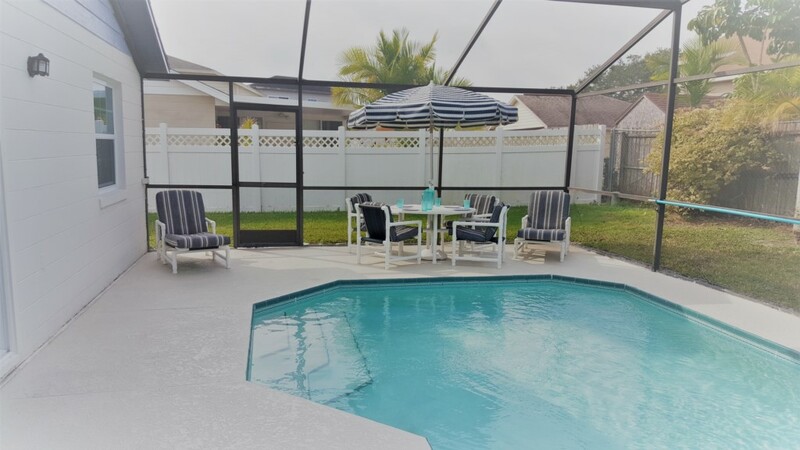 Coralwood, by Elite Vacation Homes, is conveniently located in Davenport, Florida and a great place to “just enjoy” on your next Florida Vacation. This beautiful residential community is secluded enough to provide private residential living, yet close to Great Restaurants, Shopping, Factory Outlets and World-Class Golf. 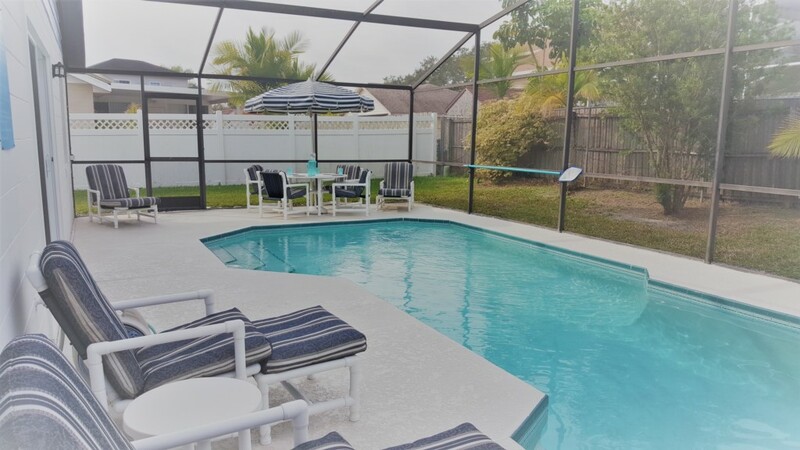 With much more amenities and extra space compared to a tiny hotel room, you’re sure to enjoy this spacious 2 bedroom, 2 bath pool home. Amenities include a Private Screened-In Pool, a Fully Equipped Kitchen with Modern Appliances, Full Size Washer/Dryer, and Cable TV. The master bedroom has a spacious King size bed with private bath. The second bedroom has two (2) cozy Twin size beds. 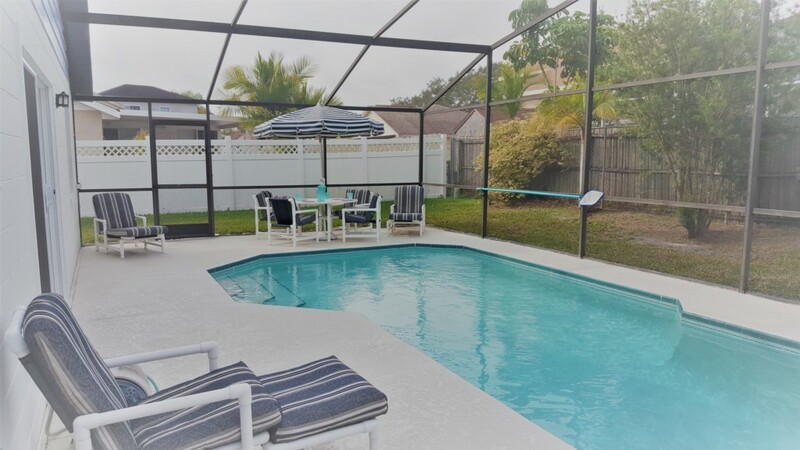 Whether it’s a white-knuckled thrill ride, or an exciting round of golf, this Orlando family-friendly pool home is perfect for your next Florida vacation. Are you ready to make it yours? We are now home in Canada.We did enjoy your house . I do want to tell you that I was VERY impressed with your property management company. When we arrived we realized that we would like the pool heated. it did not heat up and they fixed it quickly .Unfortunately the fix did not work. Again they were right on it. There was a problem with the breaker. Again it was not heating well and again they were on top of it. They immediately refunded my money with apologies. Also the toaster was not working and was replace instantly by a wonderful woman. These people ( Bonnie and Denise) went above and beyond to try and fix and also answer all our questions . They made our stay wonderful and comfortable . I do not know if other people have also told you what a good team you have working for you but thought you should know that your house is in EXCELLENT hands. Your house was also very nice and clean. We had amazing weather and my husband enjoyed a lot of golf. Great stay, we will recommend to our friends and famly. Will use again. Thank you. Nice clean house in a good location. We saved money using the kitchen and the kids were entertained in the swimming pool. We recommend this house. We loved the house and will return next year.